It's hard making a cow-print shirt look good, but I manage. 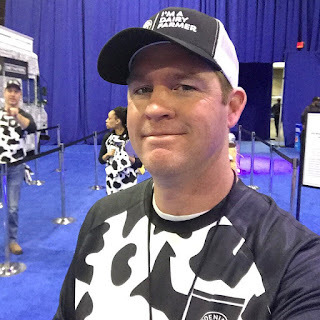 This past weekend's Super Bowl may have been a dud, but I had a blast with a few fellow dairy farmers at the SB Fan Experience event a couple of days prior to the big game. We were helping hand out free grilled cheese sandwiches and chocolate milk to folks who passed by, giving away "Undeniably Dairy" medallions, and answering questions people had about dairy farming. I'm not sure how many people stopped by our food truck during the two-day event, but there was steady traffic while I was there Friday afternoon. We were able to convince the majority of people walking by our setup to stop and enjoy a sample, and most seemed genuinely glad that they did. A few even asked me about the brand names of the cheese (Cabot) and milk (Mtn. Fresh Creamery) and if they were available where they lived. And these folks lived all over, too! About half of the people who stopped by were Falcons fans, but there was also a large contingent of Patriots fans that had come to support their team. 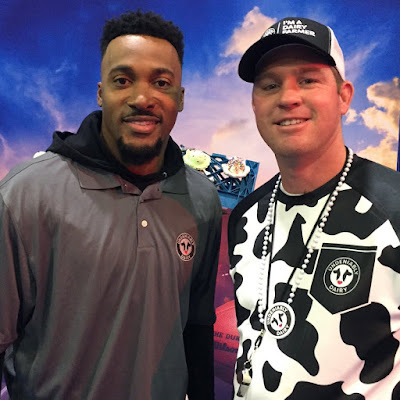 The Eagles, Steelers, and Cowboys were well represented, but the Rams...not so much. 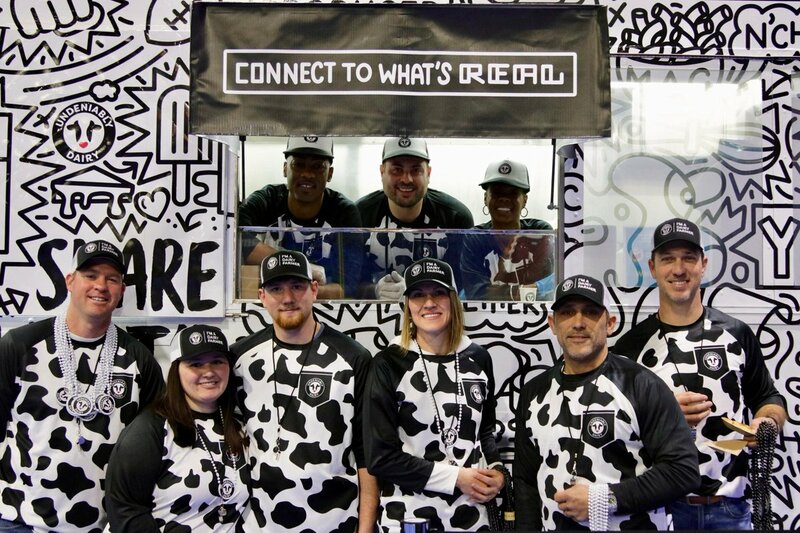 While most folks only stopped long enough for the free samples and UD swag, our group did have a few good conversations with people who were excited to meet "real life" farmers and learn about life on a dairy farm. On the whole, I believe we built up some goodwill and perhaps even spurred some folks to start including a little more dairy in their diets. One final note. As you can see, we were dressed to mimic referees...only trading the traditional "zebra stripes" for a Holstein pattern. We each had a whistle and a cow-print penalty flag we could through, too. I was told these outfits were specially made for the event and not available for general purchase. That makes them a rare collector's item, and I'm willing to autograph and auction mine off. Bidding starts at $5k, let me know if you're interested. 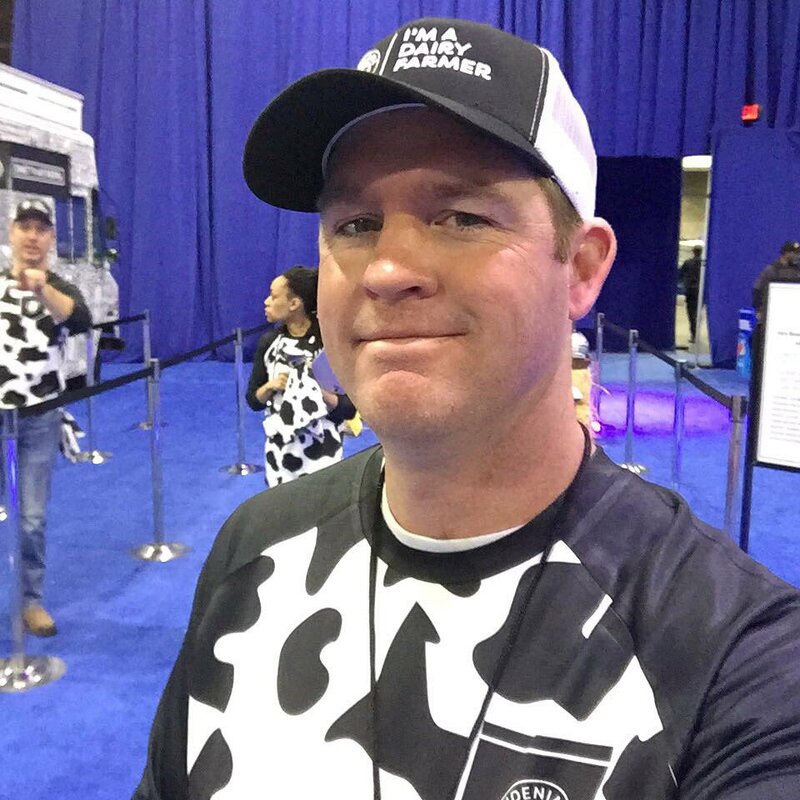 I joined five dairy farmers from Georgia along with promotion staff to help give NFL fans an Undeniably Dairy experience. Atlanta Falcons cornerback Robert Alford stopped by to sample our grilled cheese and milk and take photos with fans. 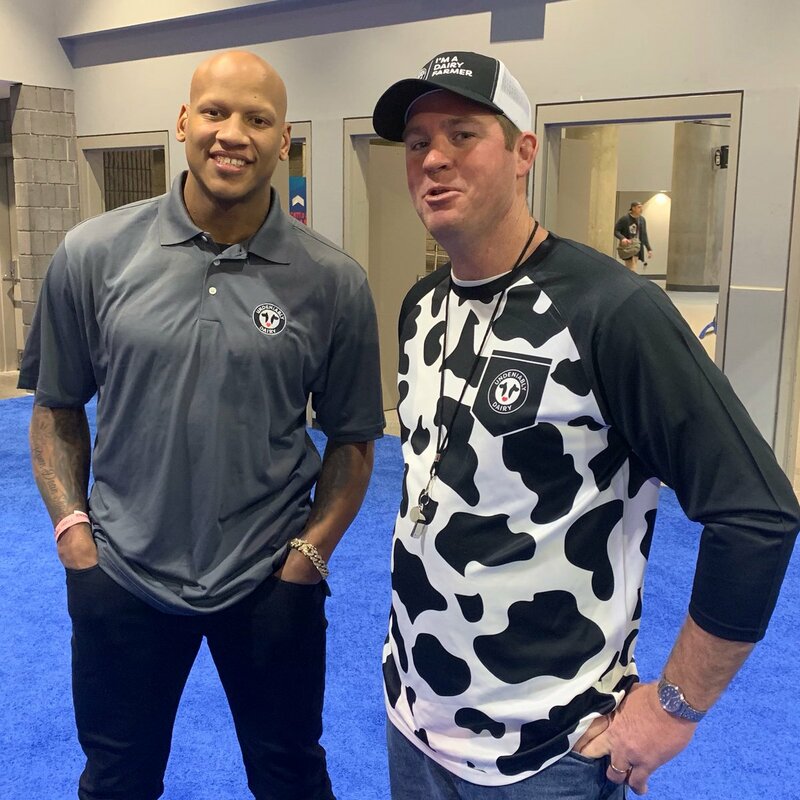 I had a great conversation with Steelers linebacker Ryan Shazier about what it's like living on a dairy farm.